It’s no secret that bees are dying at a alarming rate, but what does that actually mean for us? 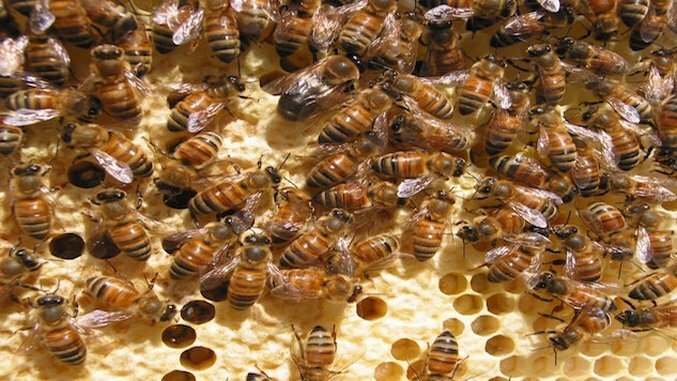 Since bees are responsible for pollination, they are essential to the production of fruits and plant seeds and the consequences of their absence would be devastating to the future of food. The recent decline in bee populations worldwide are forcing scientists to evaluate how mass bee deaths will affect the global environment, and look for alternate avenues to pollination. After learning about the bee crisis, Dr. Eijiro Miyako, a chemist at the National Institute of Advanced Industrial Science and Technology in Tsukuba, Japan, took it upon himself to search for solutions to the pollination problem. When Miyako stumbled upon a sealed up, long-forgotten gel in his lab, he witnessed the gel’s ability to trap tiny particles from the floor; similarly to the way that a honeybee’s hair gathers and carries pollen. Miyako’s lucky discovery might very well lead him toward revolutionizing the future of pollination. He immediately took an interest in the gel, going on to formulate and test his theory of artificial pollination. In one test, he coated several ants with the gel and closed them inside a box of tulips. After three days, he discovered that the ants were covered in pollen. Miyako also added light reactive compounds to the gel to help camouflage the pollinators against potential predators. In his latest experiment, Miyako took things up a notch by using drones as pollinators in order to have better control over their whereabouts. So far, he has successfully tested one small drone by combining his gel with short horsehair and electricity to give the drone bee-like fuzz that is perfect for pollinating. In this combination, the horsehair sticks to the drone by means of the gel, and the electricity makes the horsehair stand up to better collect the pollen. Tests performed on Japanese Lilies so far indicate that successful artificial pollination has occurred more than a third of the time. Each test brings Miyako closer to the reality of artificial pollination. Could this revelation mean a future with fleets of drones disguised as bees using GPS and artificial intelligence to pollinate crops? Miyako certainly thinks so. Perhaps this technological reality is not as far away as we once imagined.